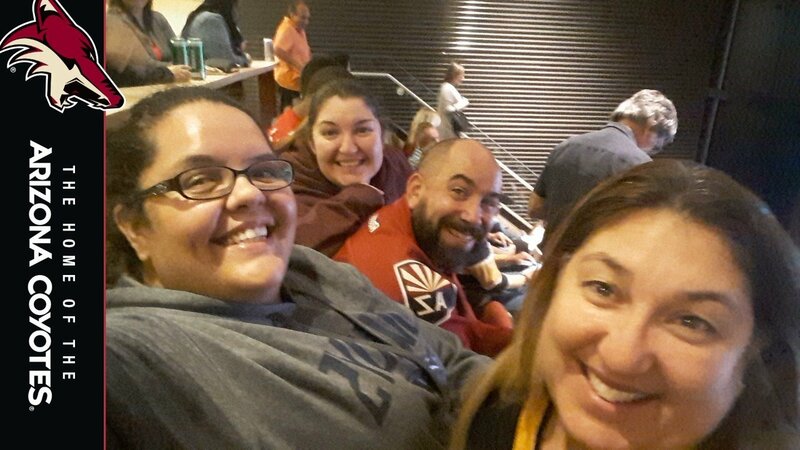 Thank you so much Arizona Coyotes for our amazing seats!!! 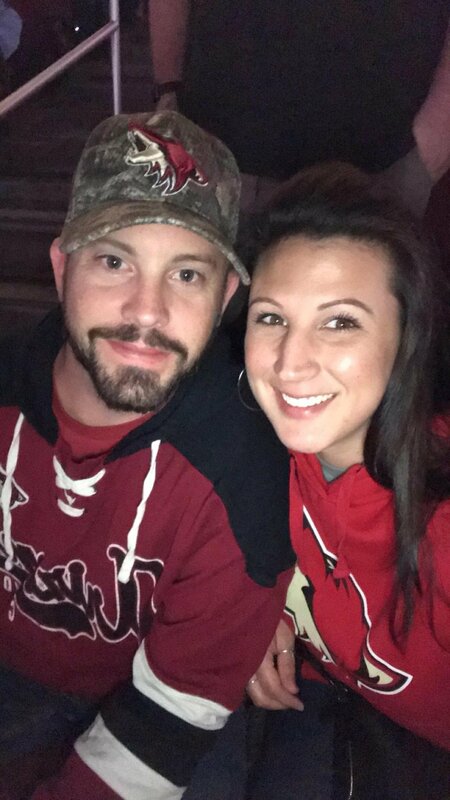 We had a wonderful time watching yall WIN!!!!! 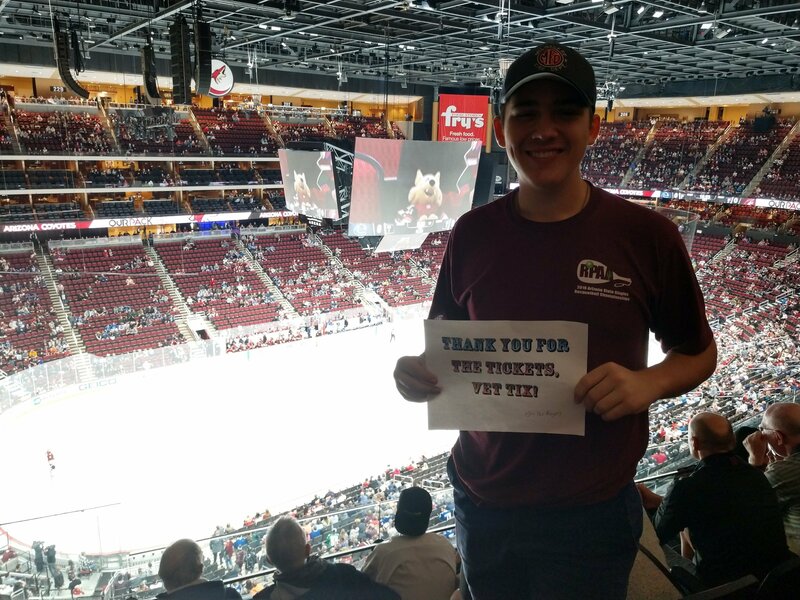 Thank you so much for the hockey tickets. 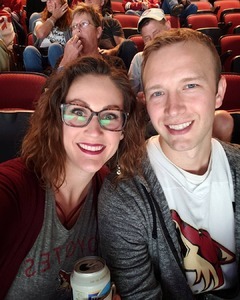 We had a fantastic time!! We appreciate your spirit of giving and commend your support of our veterans. Thanks again!! 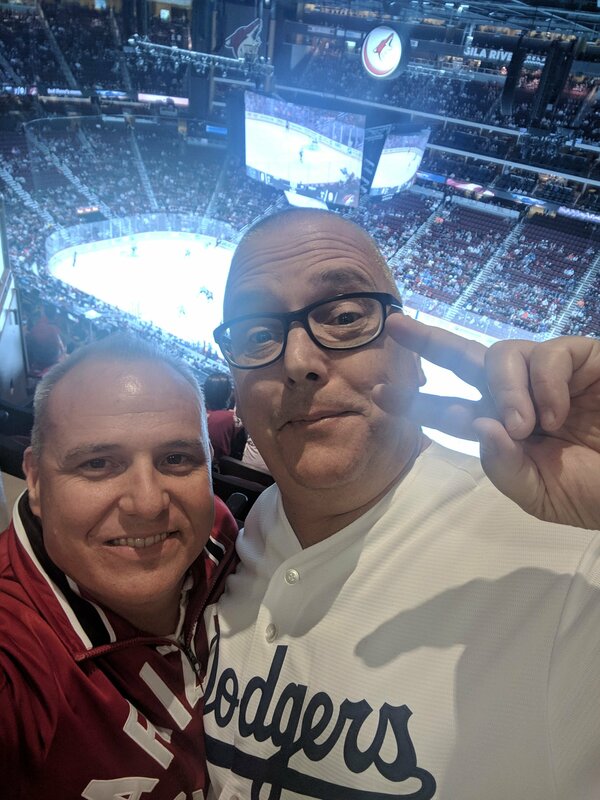 Not only did we catch a W for the team but also, it was my dads first hockey game on his birthday. 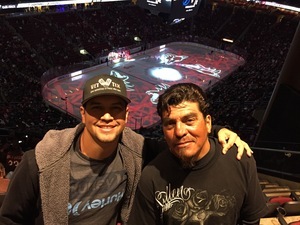 You made were able help make a lifetime memory for me and the old man. Thank you Arizona Coyotes NHL!!! 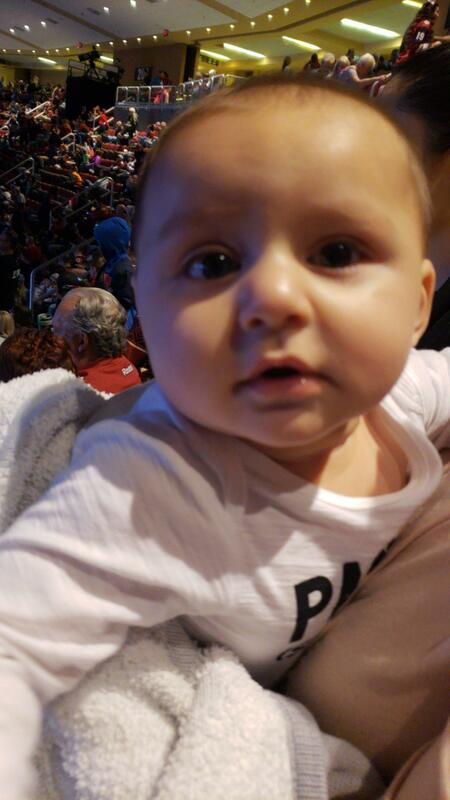 It was my boys’ first time watching a hockey game and they loved it. 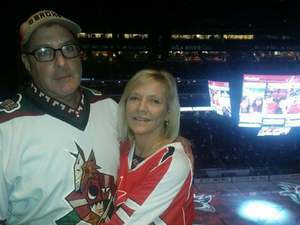 They could never have gone without the donated tickets. Thank you! 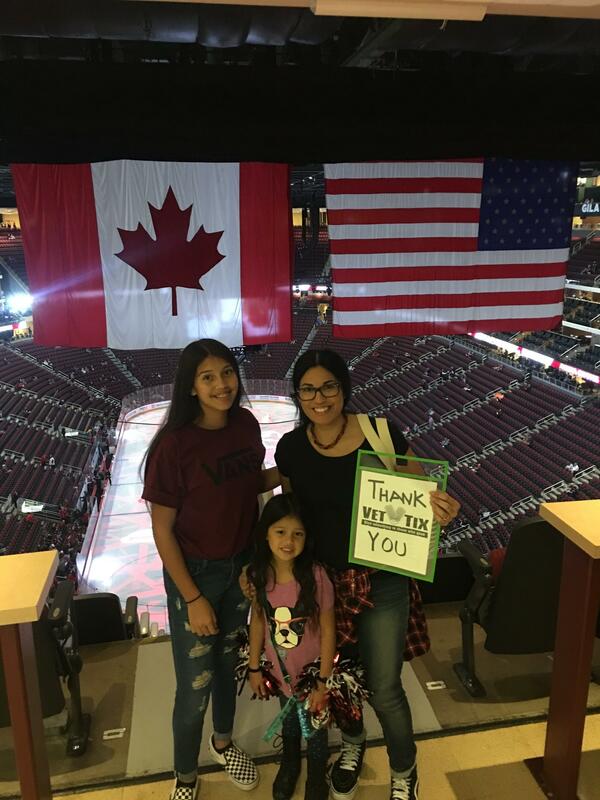 We had a great time watching our Coyotes take the Canucks! 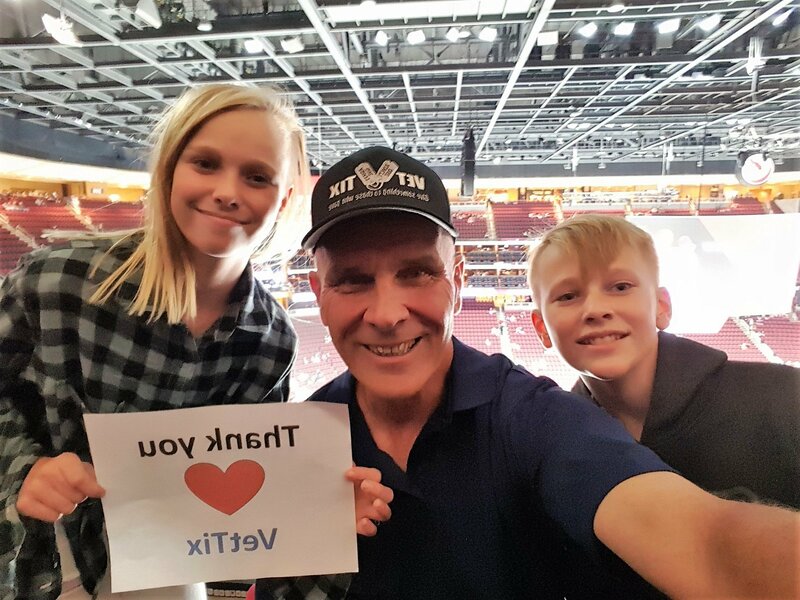 My kids truly treasure these moments that they can spend with their dad thanks to the generous sponsors at VetTix! 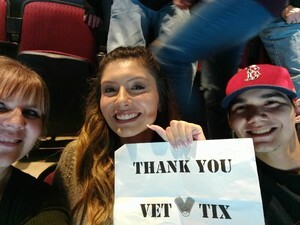 Thank you Vet-tix and also the third party company you have truly blessed my family with a great first time event. 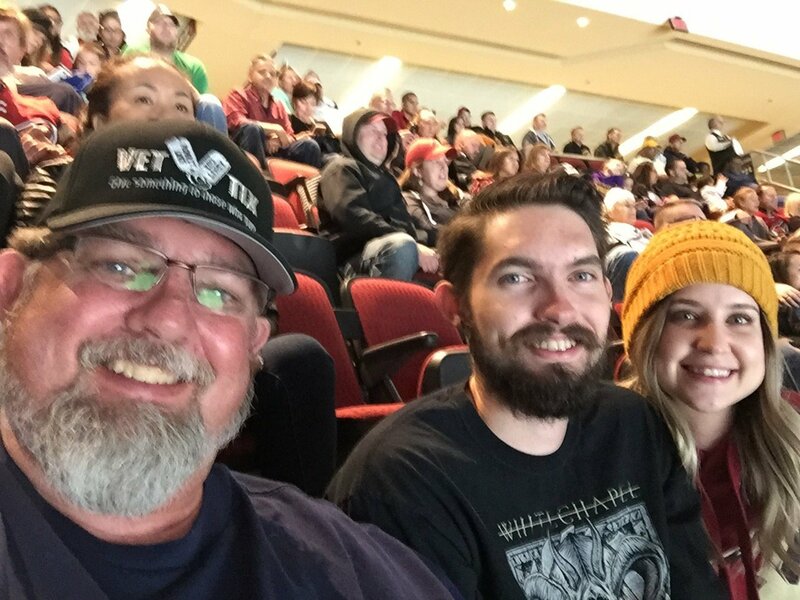 It was a blast because we was able to take my father law. 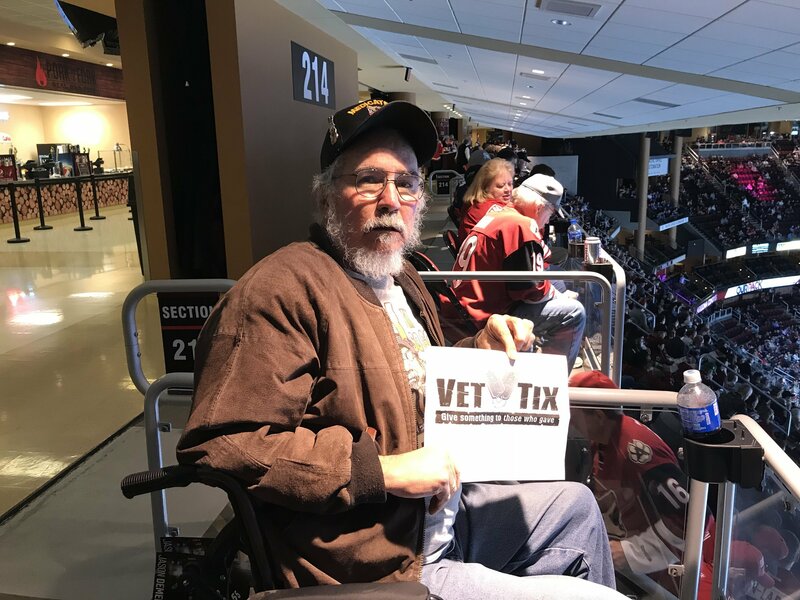 It was his first time ever going to a hockey game so to see the smile on his face was priceless. I want to say keep doing the work that you are doing it’s great stuff. 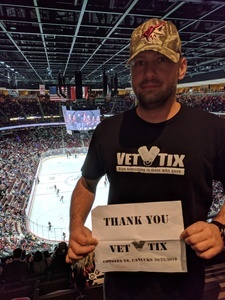 Vet-tix you are the real MVP.. Thanks Arizona Coyotes! 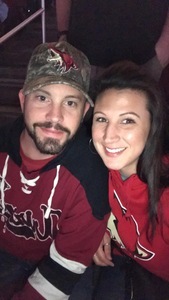 We had a great time at the hockey game. 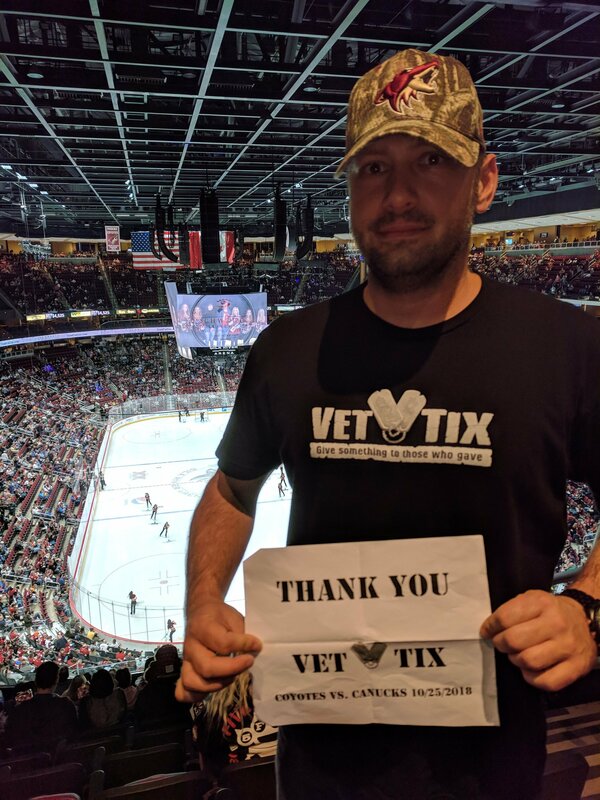 Thanks for supporting Veterans! 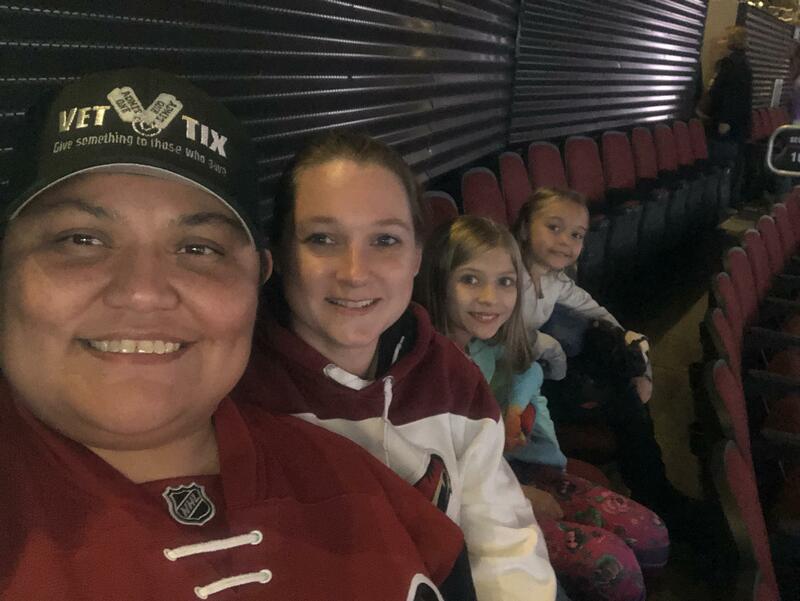 We had an awesome time at the Coyotes game. 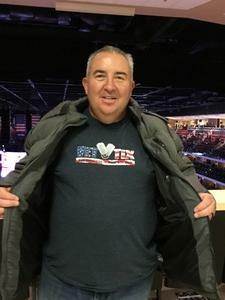 It was a great win vs the Canucks. 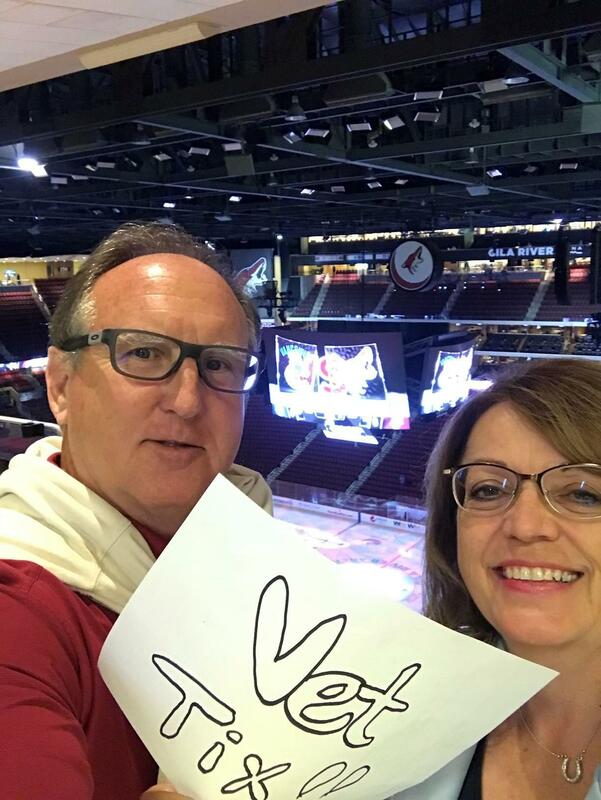 Thank you Arizona Coyotes. Thanks so much for the seats to watch our Coyotes win! Great game, great opportunity. 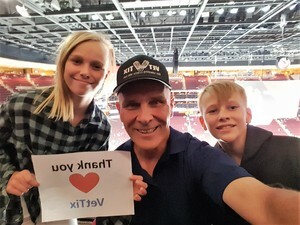 Thank you, VetTix, my family and I had a great time. Thank you soo much for the Coyotes Tickets!!! 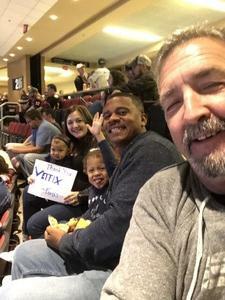 My family and I enjoyed every bit of the game. It was there first time to an NHL event. Thank you! Big thanks to Vettix and the Arizona Coyotes for a fantastic night of hockey! 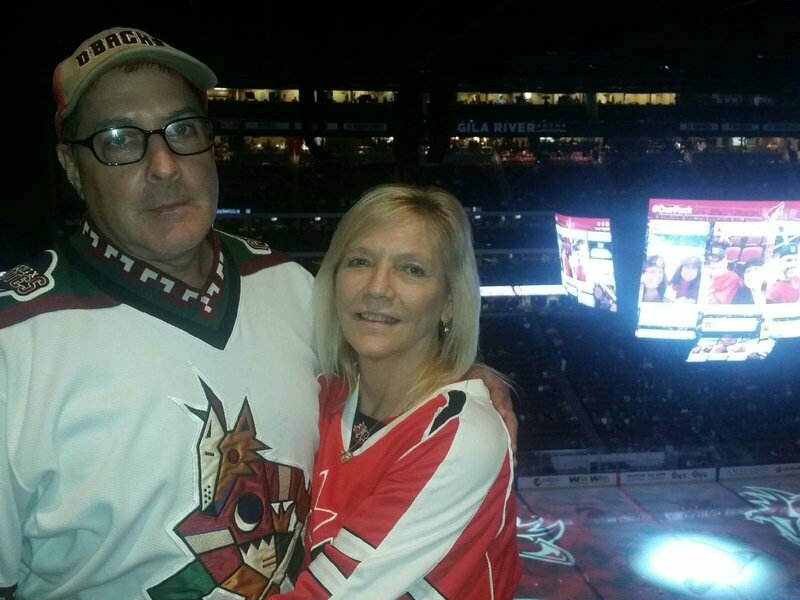 It's always great to see the Yotes get a big win in front of the home crowd. Can't wait for the next one! My family and I had a wonderful time at the game. 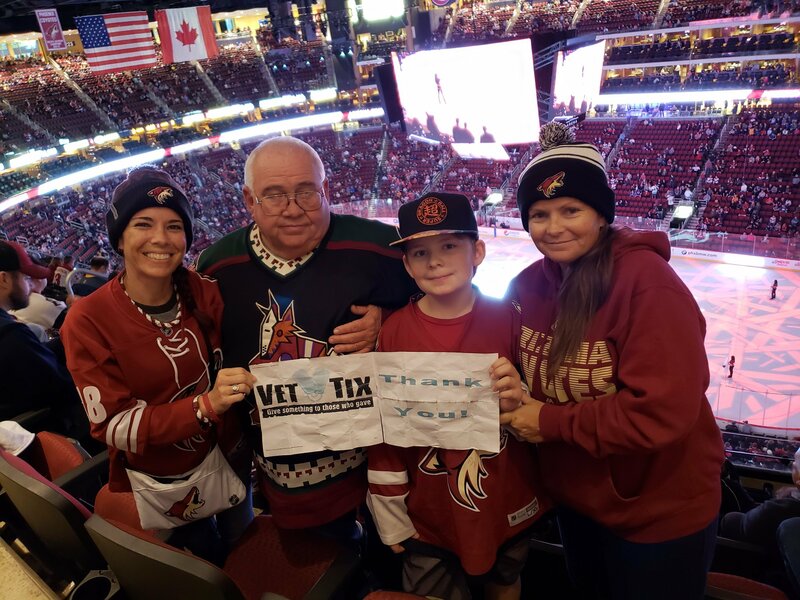 Thank you AZ Coyotes and the NHL for supporting AZ Veterans and our Families. 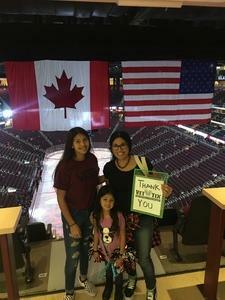 Thank you for the Coyotes tickets. 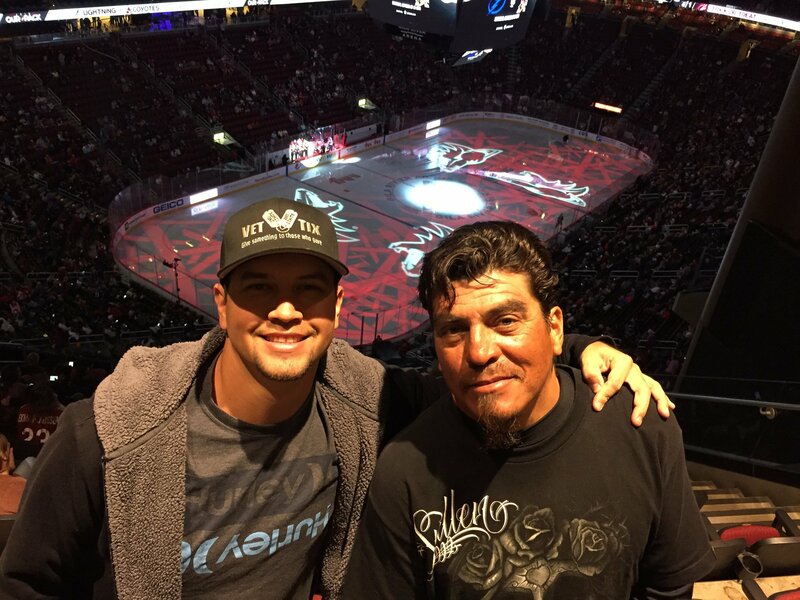 We really enjoyed the game and love the family time. 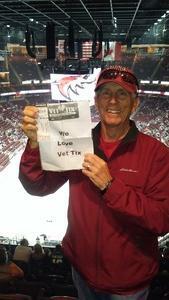 Thank you Arizona Coyotes & Vet Tics for the great seats behind the net. 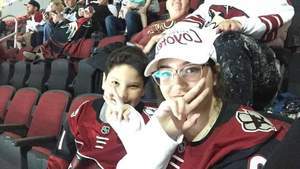 I had a fun time with my family & the home team won 4-1, great game! 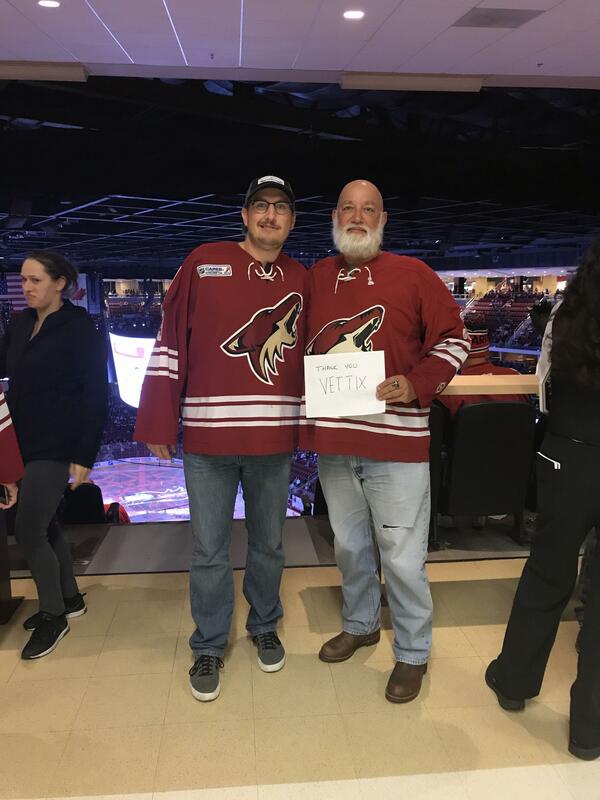 Thank you Arizona Coyotes - NHL and VETTIX for the tickets!! Always great to get a "W" in the column! Go Yotes! 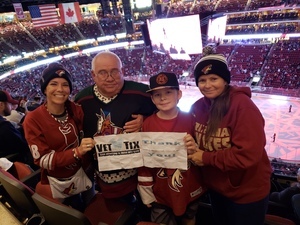 Thank you Arizona Coyotes for your generous donation! 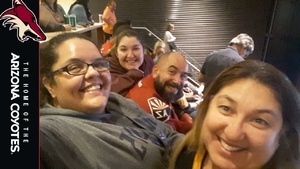 Got to enjoy a great game against the Vancouver Canucks on a girls night out! Thanks Vet Tix. We enjoyed the game and the coyotes won. Thank you AZ Coyotes for the generous ticket donation. We enjoyed watching you DESTROY the Canucks! !